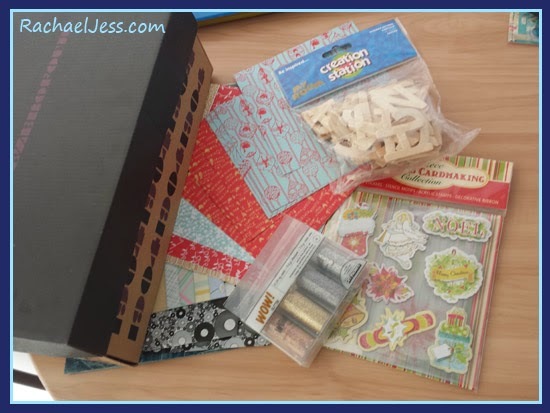 I am so excited to be creating a Christmas Elf box for my boy this year! On Christmas Eve whilst we are out or busy, the elves come along and leave a little Christmas Eve box on the doorstep at dusk, inside this little handmade box will be goodies to help little ones get ready for Christmas Day by snuggling down and getting cosy this Christmas Eve evening. 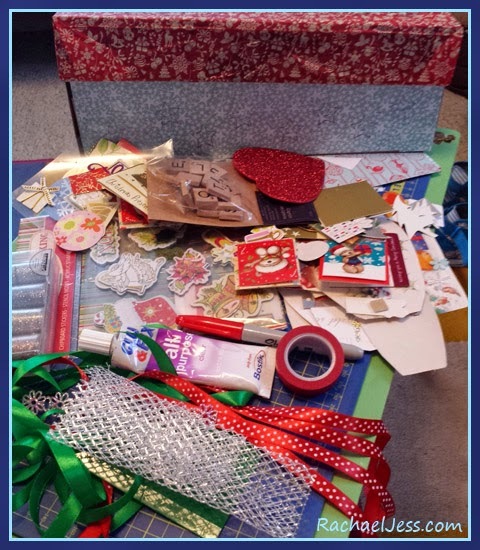 We actually started creating our box back in the summer (I know! It's shocking that I was thinking of Christmas in July!). 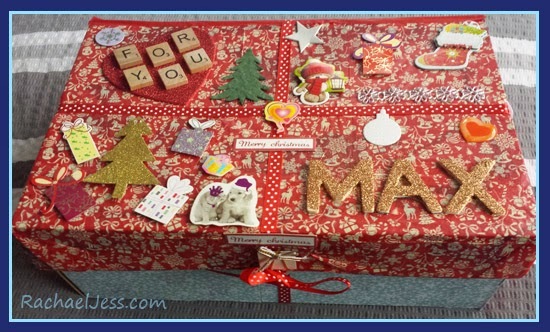 I got an old shoe box and covered it with various Christmas cards and wrapping papers and then I let Max choose all the toppings - that way it gives the box the look and feel as if an Elf had decorated it. 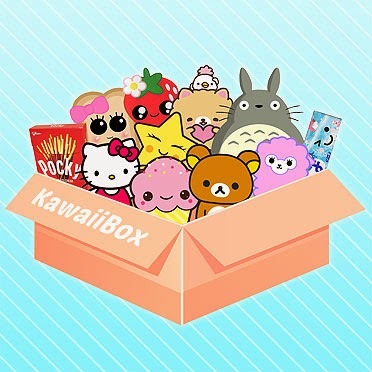 Our box is now complete and put away and I'm slowly purchasing pieces to put in it. 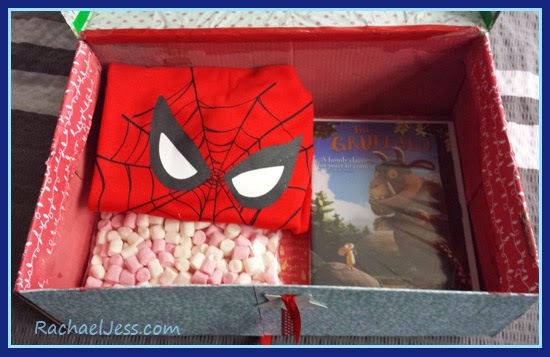 So far we have marshmallows and hot chocolate sachets (obviously enough for all of us), The Gruffalo DVD to watch Christmas Eve Evening (we've never seen it) and Spiderman PJs. I plan to buy him a special Christmas cup/beaker for his hot chocolate and Christmas socks to go in the box too. Started collecting for the Elf box.... so excited!! I can't wait to see his little face! It's soo true Christmas is for kids ...... big and small.